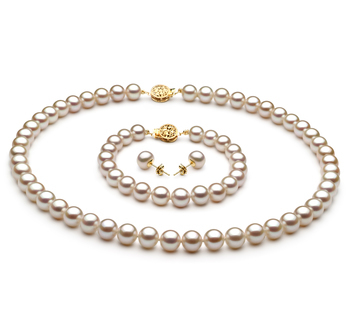 White and Gold is such a classic and graceful combination. 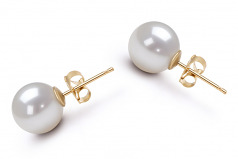 The beauty in the White Japanese Akoya Pearl Earrings cannot be denied, they are a universal set that can easily be used in any outfit in your wardrobe. 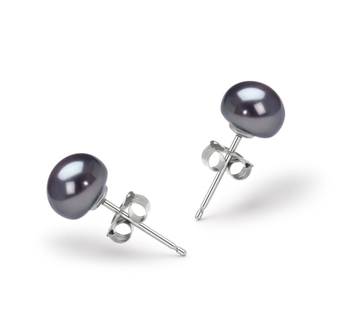 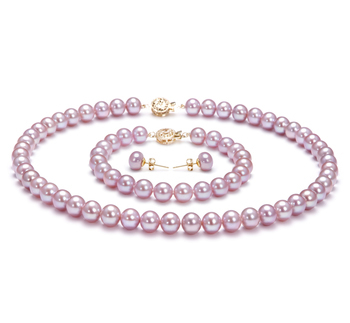 The highest quality pearls, this set is an AAA shaped round pearl and plays well with its mirror like glistening luster. 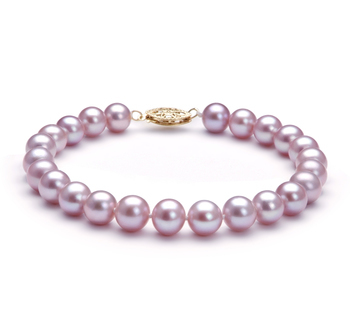 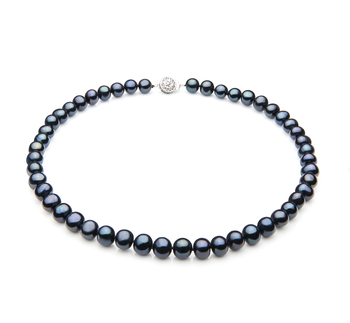 Like rays from the sun, the luster spreads over the pearl and brightens every surface area. Set on stud posts with butterfly backs, your earrings are set to last for generations to come. 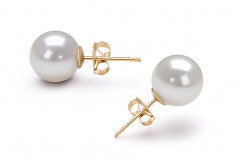 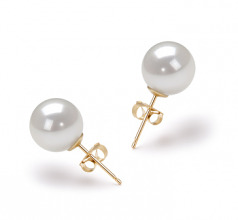 Take pride in the White Japanese Akoya Pearl Earrings that will adorn your ears and compliment your outfits.